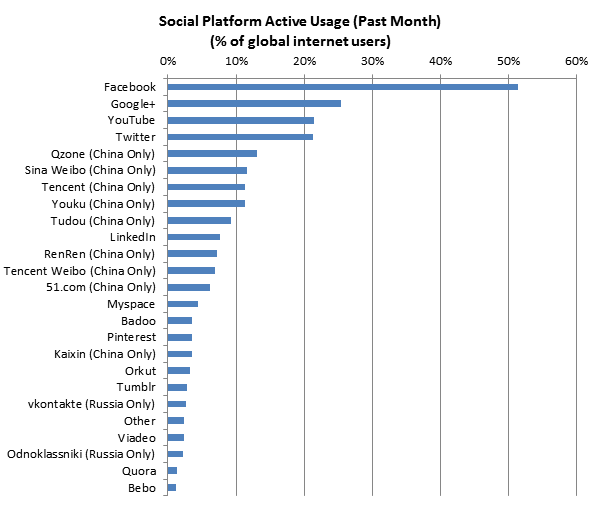 Google+ grew to the number 2 social network platform globally in the past month, in terms of active usage by 27% to 343m users, Global Web Index's recent data shows. The number 1 is Facebook, YouTube comes in at number 3, demonstrating the immense opportunity of linking Google’s services through the G+ social layer. Twitter is number 4, and is also the fastest growing network. For bloggers and webmasters, it's key to integrated with the Google product set in the future.